If you are looking to take pleasure in Bollywood style music or dancing in the locality of Karama, Dubai then Anthakshari Nightclub at President Hotel is your ultimate destination. The location of this nightclub is central and people can easily access it from any corner of the city. This exotic gateway to fun night worth the value, as it has all the varieties for amusement, which will keep its guests busy till Anthakshari Nightclub gets closed. This terrific bundle of entertainment includes Bollywood type of dancing and music, which is played by famous local Djs. Besides this guests can also enjoy wonderful array of drinks and delectable Indian food at this nightspot. 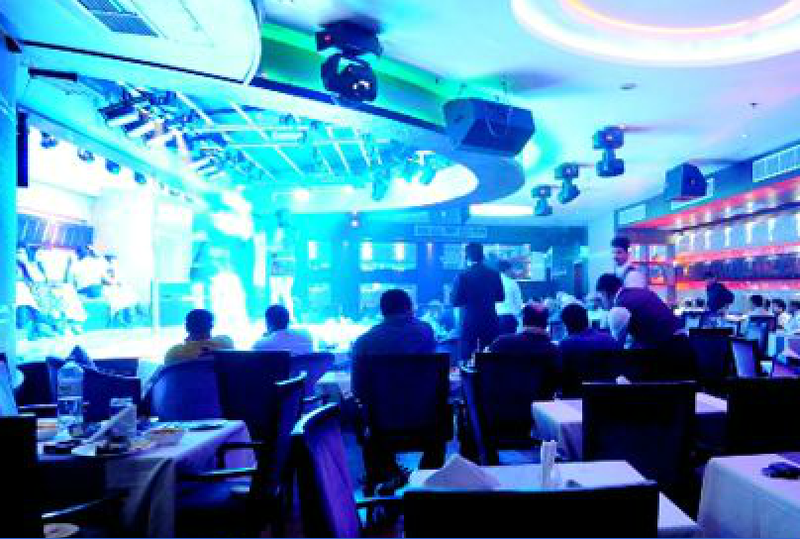 Anthakshari Nightclub is one of the premium night spots in Karama, Dubai that has a lot of variations in services and products, which makes it different from the rest in this league. This venue has an excellent bar from where guests can drink different beverages. In addition to this, visitors also get to savour great Indian food at this nightclub that is prepared by a team of chefs, who come here all the way from India. Therefore, the authenticity and terrific flavours are there in the food. For amusement, party lovers will get to dance on the Bollywood style music, which is played at this nightclub. This upbeat Bollywood music will definitely drag you to the dance floor, where people of Dubai can bop till late night. The usual operational hours of this venue are from 6:00 pm to 3:00 am and this site follows these timings on all days of the week, as it opens daily. President Hotel, Trade Center Road - United Arab Emirates. Head southwest on Sheikh Khalifa Bin Zayed Street/D 88 towards 37 A Street, from this metro station and then turn left onto 37 A Street that will lead you to another turn that goes on the left side towards 4 C Street. After which walker should turn left onto 2 B Street from where destination is not too far. Karama 2 1 – Dubai bus stop is about 270 metre away from the Anthakshari Nightclub and by walk this distance can be covered in approximately 3 minutes. To do so bus user should out in the northeast direction on 4 C Street towards 37 A Street, after leaving this bus stop and then turn left onto 2 B Street from where this venue is just a few metres away. 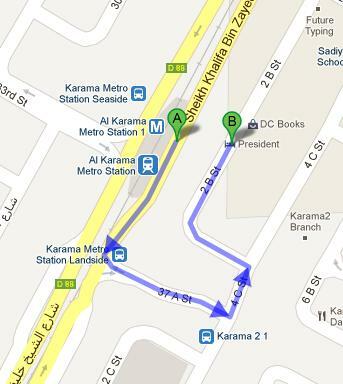 Bus numbers 22, 42, 44, 83, C3 and C5 can be used to reach Karama 2 1 – Dubai, as they serve this bus station. Follow the map for directions.